If you have been hurt at work and need medical care, you may be contacted by your employer’s workers' compensation carrier. The purpose of the call may be to steer you towards a particular doctor for treatment. In some cases, the carrier recommends a particular doctor, knowing that this individual is likely to recommend a conservative course of treatment, such as physical therapy instead of surgery. Sometimes the carrier will steer an employee to doctors who typically clear injured workers before they are at full capacity to go back to work. In some cases, a doctor is recommended because the doctor does not write disability letters for patients, which are necessary so that a worker can continue to get a weekly disability check. At Pulgini & Norton, our workers’ compensation attorneys can represent Boston residents in their claims and advise them on choosing a doctor. In Massachusetts, an injured employee is allowed to choose the doctor who will treat him or her. You will want a reputable doctor who has no conflict of interest. Most reputable doctors will accept payment through workers' compensation insurance. If you have been referred to a qualified doctor, you should check whether your attorney is aware of the doctor's reputation in workers' compensation cases. 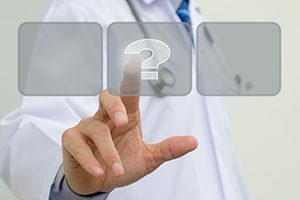 If you receive treatment from a doctor who does not have a good reputation or does not cooperate with the claims process, this can adversely affect either your recovery or your claim. Although you can choose your own treating physician, some employers have a preferred provider plan that directs where an employee should go for initial evaluation. In that case, the employer must give you a list of names of the approved providers, and you should go see that doctor for the initial evaluation. However, once you go to that provider, you can choose your own physician for treatment. Your physician can direct your care and clear you to go back to work. What if you are not happy with your choice in a second doctor? In that case, you would need to get pre-approval from the workers' compensation insurance carrier for a visit to a third doctor within the same specialty. The carrier must reimburse you for all expenses associated with your care. This includes mileage, parking, prescription medications, and other medical care. In Massachusetts, a utilization review is used to monitor treatment for an injured worker. This utilization review will be used to decide whether to pay for the treatment that your doctor recommends. In some cases, a nurse employed by the insurer will have input into this process and communicate the decision to you. In Massachusetts, there are guidelines in place to assist with utilization review. You should be given a utilization review determination letter that tells you the reason that the treatment your doctor has requested is approved or denied. You or your doctor can appeal the determination if you disagree. A workers' compensation attorney can help you negotiate with the insurer to try to get you the medical care recommended by the doctor of your choice, or pursue pre-approval for a different doctor as appropriate. At Pulgini & Norton, our Boston lawyers understand how difficult it can be to recover from a workplace accident while battling your employer's workers' compensation insurer carrier for medical treatment you believe is necessary. We can help you in choosing a doctor who meets your needs. Our office represents clients in Newton, Quincy, and Waltham, among other Massachusetts communities. Call us at 781-843-2200 or contact us via our online form for a consultation.